In April 2012 another fellow sister from the United States found our Order, this time Lady Cynthia Ann Raddatz. 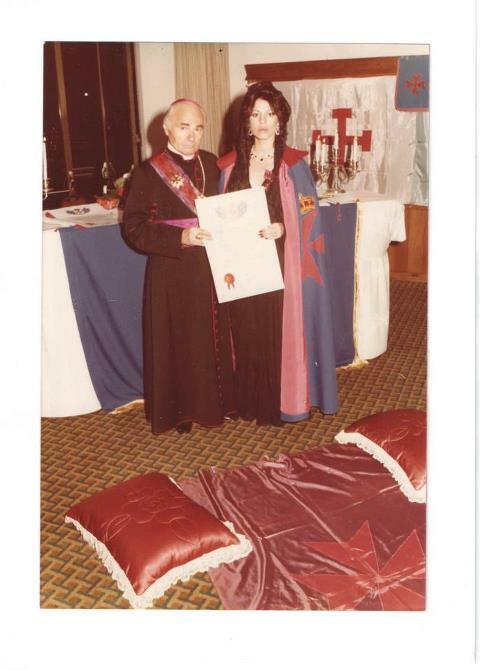 Together with her husband Mr. Richard Carl Raddatz, in 1981 she was invested as Dame of the Sovereign Order of Cyprus by H.E. Rev. Lorenzo Michel de Valitch, Grand Chancellor of the Order. We are very pleased that our Knights and Dames – being knighted long ago – by using modern information technology find us, contact us and re-join the life and activities of our Order. “I was knighted in the Sovereign Order of Cyprus in the year 1984. The Sovereign Order of Cyprus is one of the oldest Orders of Chivalry, it was founded in the year 1192 by Guy de Lusignan, King of Cyprus and Jerusalem, and confirmed by Pope Innocent III in the year 1200, who imposed upon it the dual mission of spreading the Christian faith and acting as a bulwark of Christendom in the eastern Mediterranean. The Order was created on the model of the Hospitaller and Military Orders such as those of the Temple, and of St. John, installed in the Holy Land. Three hundred men of noble birth were inducted as knights in the new Order and allowed to wear the red, eight-pointed cross of the Order at the throat. They were obliged to defend the island route to the Holy Land and to prevent attack and infiltration of the infidels.